Why “Account Based Everything” in Place of Account Based Marketing? How: First, we decide how we are going to promote our offering. Is it an eBook? Promotion? Infographic? Video? Where: Second, we decide where it will be promoted. 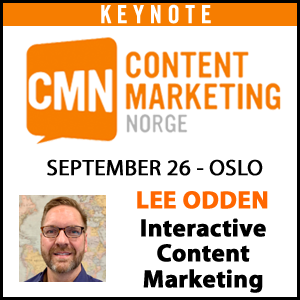 Do we want to publish to our social channels? Blog? Paid Ads? All of the above? Who: Lastly, we identify who we are promoting this to. What target audience should we set in our LinkedIn ads? Which email list should receive this? Who: The first step should always be to determine which accounts and which people at those companies we will focus on. For any company looking to implement an integrated account based everything strategy, there are two priority first steps. The first is to get sales and marketing aligned on who the target accounts are. The second is to determine which tier of account based marketing to execute. The three tiers of account based marketing that Jon shared are “classic”, “lite” and “hybrid” and each is applicable based on the number of accounts you’re looking to target at once. Tier 1: Classic – In this model, you’d treat each account as a market of one. This means you’re researching the account, creating a highly detailed account plan and creating content specifically for them. In this tier, Jon strongly advises taking everyone in these targeted accounts out of the marketing automation system. Every engagement with these targets should be handled by a human being. With this level of detail, the classic strategy is most effectively managed when working with up to 50 target accounts. Tier 2: Lite – What is commonly referred to as the “lite” model, this approach still requires us to look at each account one by one, but at a much lower level of detail. This approach is scalable, and ideal for companies targeting 50-1,000 accounts. Tier 3: Hybrid – When you’re looking at over 1,000 targeted accounts, the hybrid model is going to be most efficient. This option integrates traditional demand gen methods but uses account selection. At this level, automated touches are used, making sure the touches are personalized to the industry and persona. Owned events or 3rd party events. Hosting a workshop or dinner in your office is a great way to build personal relationships with your targeted prospects. Even if your targets cannot come to the event, it’s a reason for your team to reach out and start that conversation. If you participate in or sponsor a 3rd party event (such as a conference or webinar), try to earn the list of attendees before the event. This can be used prior to the event to coordinate meet & greets or engage in another way with targeted contacts. Exclusive Tip: When inviting an executive, have someone from your company with an equal or higher title send the invite. Direct mail to targeted accounts. Think about how many emails you get per day versus how many packages show up on your desk. Direct mail is a great way to break through the clutter. From the sales side, Jon explained that human emails, phone calls and social engagement with targeted contacts should be handled by sales, to ensure the relationship is built on a personal level. The last segment of the presentation overviewed how our metrics of success must change as we venture into account based marketing. Instead of focusing on MQLs (Marketing Qualified Leads), Jon recommends shifting focus to MQAs (Marketing Qualified Accounts). This means that as a team, the marketing and sales departments are logging engagement with a target company as a whole, instead of individual people. In doing so, your sales development reps are enabled to be more strategic on how to respond and build the relationship with the target account. Coverage: Do you have the right contacts for each account? If you don’t, go get them. You will no longer measure yourself on if you got a new lead, you’ll judge on if you’ve engaged them. Awareness: Which target accounts have any knowledge of us? Engagement: Are the right people on the account spending time with your company? Is that engagement increasing over time? Reach: Are marketing programs reaching the targeted accounts? Impact: How are the ABM activities improving sales outcomes such as velocity, win rates, average contract values, etc.? Jon’s presentation was both insightful and actionable. From the benefits of an account based everything model, to implementation and measuring, this morning’s session left the audience feeling excited with the potential impact of this innovative approach to marketing. 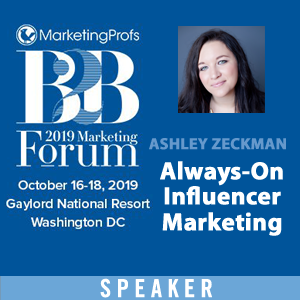 For those enjoying the next three days at MarketingProfs B2B Marketing Forum, the TopRank Marketing team would love to connect! 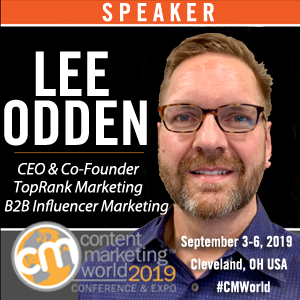 Find us on Twitter to let us know what sessions you’ve enjoyed thus far at @TopRank, @leiladlf, @leeodden, @azeckman, @amywhiggins and @cburgess.